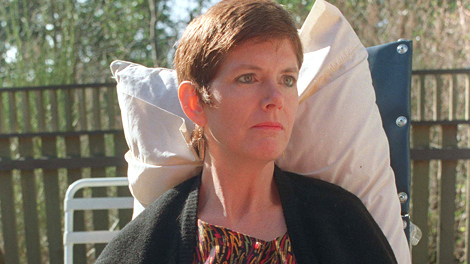 Today, 21 years after Sue Rodiguez’s story made the headlines, history has been made again in Canada with the striking down of the current assisted suicide laws – sections 241 and 14 in Canada’s criminal code which, essentially, prohibit aiding or counselling another person to end their life. Here is a link to the Supreme Court’s actual ruling which outlines that a physician may not help someone end their own life. There are specific conditions attached to this ruling: First, the person involved must be a competent adult who consents to have their life ended. Second, the person must be experiencing what they have called “endless suffering” as a result of a “grievous or irremediable” illness, disease or disability. This ruling will now be turned over to the government, as the two sections of the Criminal Code which prevent people from consenting to their own deaths or allow others to aid in their suicide become no long valid after a year. So the government will have to draft new rules and ensure policies and safeguards in place to protect those most vulnerable while also ensuring that the new rules reflect the aims and values underpinning the ruling. They’ll also have to anticipate how this might play out as there will be both federal and provincial involvement in any new legislation. Quebec already has its own right to die law which came into effect in June 2014. Finally, any new legislation that is eventually brought forward based on this ruling may well be appealed, again. You can read more about the ruling here and here. Here’s a tragic story from Cape Dorset, which is in Nunavut, a territory in Canada’s far north. Cape Dorset is a town of just 1300 people. A nurse the Nunavut government promoted to a top nursing job after nearly 20 complaints were filed against her has admitted to a number of the allegations, CBC News has learned. Among the most egregious complaints against Debbie McKeown was that she refused to see a three-month-old Cape Dorset boy, Makibi Timilak, when his mother phoned her one evening in early 2012 saying the child was ill and needed attention. The boy died hours later. Nunavut rules dictate that nurses on call in the evening must open the health centre to see an infant under the age of one who might be ill.
A CBC News investigation found that territorial government employees admitted in emails that they put the hamlet of Cape Dorset “at risk” by mishandling complaints against McKeown. She was promoted to the top nursing post in the community despite conditions on her licence preventing her from treating children. …. It’s hard not to see the connection with the scale of healthcare operations in a wee hamlet like Cape Dorset. Yes, obviously services are bound to be limited. But consider also that in a larger place, at a larger clinic in a larger town, there would likely be much more going on in terms of formal and informal peer review and oversight. Sometimes, the decision to offer nursing care comes at a very high price. “They tested the baby, and the baby was negative,” says Purfield. “But I think the symptoms in babies and the disease progression in babies is different than adults. “So the nurses would pick up and cuddle the baby. And they were taking care of the baby in the box,” she continues. “They couldn’t just watch a baby sitting alone in a box,” Dynes says…. Objective: The objective of this study was to evaluate the frequency, the intensity and the level of moral distress experienced by nurses working in neonatal intensive care units (NICUs). Study Design: We conducted a cross-sectional questionnaire survey involving 472 nurses working in 15 level III NICUs. Frequency, intensity and level of moral distress was evaluated using a modified version of Moral Distress Scale Neonatal–Pediatric Version. Socio-demographic data were also collected. Result: Four hundred six nurses completed the study material indicating a low-to-moderate experience of moral distress. The situations receiving the highest scores for frequency, intensity and level of moral distress related to the initiation of extensive life-saving actions and participation to the care of ventilator-dependent child. No difference in the mean scores of moral distress was found according to the socio-demographic characteristics investigated. Conclusion: The present study provides further insight into the moral distress experienced by nurses working in Italian NICUs. In terms of behaviour, ethics is about deciding what it is right to do. It is about deciding between how we should behave, and what kinds of people we want to be. Ethics as a field of study can be defined as the critical, structured examination of standards of conduct for people and organizations. It is worth pausing for a moment to look at several elements of that definition. First, ethics is a critical field of study, in the same sense of the word “critical” as we see that word used in critical thinking. In other words, ethics is not just a matter of stating our view about right and wrong, or describing the patterns of such beliefs within society. Ethics, instead, is about examining such beliefs with a critical eye in order to determine which beliefs about right and wrong behaviour can be supported by strong arguments. Some people may find it surprising to think that we could apply the principles of critical thinking to the world of ethics. After all, ethics touches on moral issues which may be of a deeply personal nature, and when we think of ethics we often think of issues on which different persons simply agree to disagree. But ethics isn’t just about opinions. Certainly, all of us have intuitions about various ethical issues — everything from reproductive freedom through to gun control to how children ought to be raised. But while such intuitions and opinions are often important to us, and are often central to our conceptions of ourselves as good persons, differences of opinion on such topics can cause conflict. Such conflict can cause problems in our personal lives, as well as making it more difficult for teams and institutions to function. But as we have seen in previous chapters, not all opinions are equally well supported. Some opinions are based on mistakes of fact, and others are the result of faulty reasoning. The very same goes for ethical opinions. While all persons are equally worthy of respect, not all ethical points of view are equally well grounded in good arguments. Nursing practice must be based on reliable evidence and nurse education must equip practitioners with the skills to challenge existing practices, read published research critically and evaluate its role in clinical practice. Health professionals are likely to come into contact with patients taking part in clinical trials, and have a role to play in maintaining a culture of improving care using a strong evidence base. This article explains the responsibilities of research nurses in clinical trials and how patient safety is maintained. It outlines the role of nurses in clinical research and the regulatory frameworks that underpin it, and explores the consent process and ethical principles. The article discusses both the significance of research (including clinical trials) for developing nursing practice, as well as the role of research nurses in clinical trials more generally. The webpage is here, and the PDF version of the article is here. (For more about Research Ethics, check out the Research Ethics Blog).